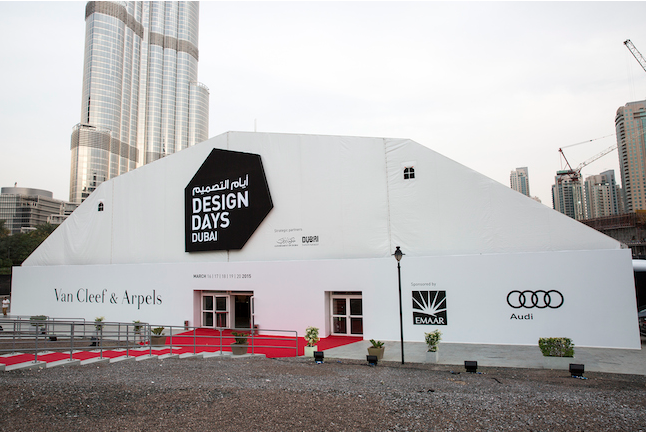 Silvia Knüppel was invited to guide two workshops and give lectures at the DESIGN DAYS DUBAI 2014. The main topic of the workshops are about the culture and tradition of carpets – a reference to the culture of the Gulf Region. The carpet is an exceptional and versatile furnishing piece which connects all cultures. Especially the so-called oriental carpet is still very popular today and it is in use worldwide. In the workshops I would like to re-explore the carpet together with the workshop participants and to look at it from a maybe unusual point of view. Together we will experiment in a playful way and put the carpet into a new context. In the first workshop ›carpet diffusion‹ the carpet will be modified and carpet like structures will be transformed into three dimensional objects. Thus hybrids between carpet and objects are created. From apparently opposed materials and properties new and unusual objects are developed. And in In the workshop ›carpet stories‹ we work together as a design team on one carpet. We will alienate it and add to it our individual stories in various and unusual ways. Thus we do not only recycle or shape a new carpet, but also enrich ourselves with our own stories. With great support by the Goethe Institut Gulf Region.